Yesterday in the village of Bruqin, citizens found that approximately 10 olive trees had been severely damaged. The branches were cut with a saw and then pulled off by hand; this method can kill the tree if the damage is not immediately repaired. The olive trees were 63-years-old and were planted in 1950. The trees’ owner relies solely on them for his livelihood. 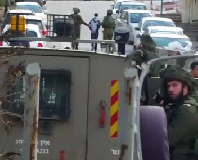 This is the first time since the occupation that he has been attacked. He has been frightened by the recent attack and fears for the future. It is not known who damaged these trees, though villagers of Bruqin suspect that it was settlers from the illegal settlement of Bruchin. The villagers have had problems with Bruchin settlers in the past. 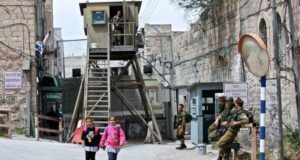 Recently, a group of settlers fenced off a portion of Palestinian land, preventing the owner from accessing it. 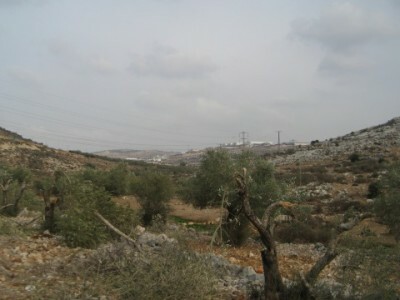 Settlers also built a settler-only road through a Palestinian olive grove. The destroyed trees (photo by ISM). The farmers have also had problems with the Ariel settlement. The factories in its industrial zone have built sewage pipes that lead directly to Palestinian land; this sewage pollutes the soil and harms the many olive trees planted there.